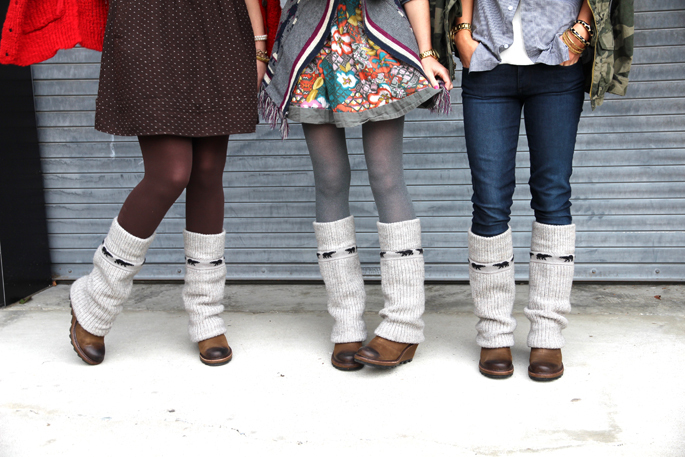 Back in September, my lovely coworkers, Rebecca, Meghan and I attended the Lucky Fabb Conference in NYC where we were gifted these adorably functional Sorel boots. Of course, we all immediately started planning our cabin getaways where we would style these for a romp through the snow and chopping down Christmas trees -- but figured it would be even more fun to challenge ourselves to see how we would incorporate them into our normal work attire. Not being much of a function first kind of gal when it comes to shoes (I just love crazy heels too much! ), I have to admit, I'm rather hooked on these guys and believe me, these will be the first thing I pack when I do head up to Tahoe in a few short weeks! 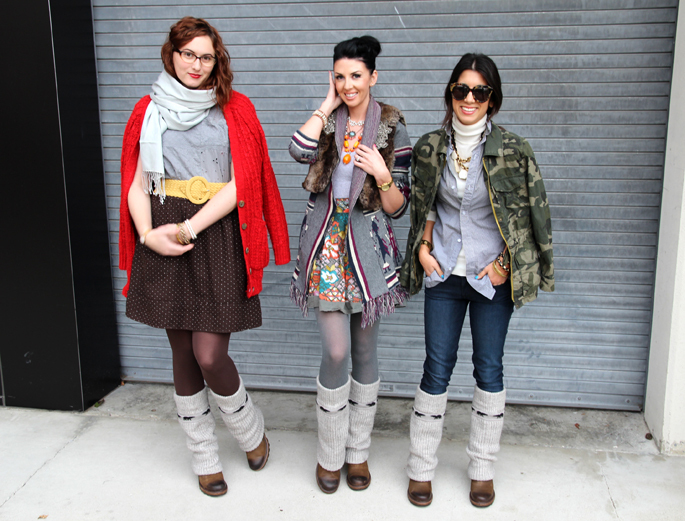 In the meantime, you should check out how Rebecca, Meghan and our good friend Maria all styled their boots! Oooh, I've never seen those Sorels before... I'm just used to their typical winter snow boots. I love the "socks" on these... they look so cute and warm. What fun!! I love that you have such stylish girlfriends!! An inspiring bunch for sure!! Triple the style in one post! What a cool way to show your different styles. Especially with such a funky shoe! Love of all the styles, guapas!! I love how each of you styled these boots so differently. Everyone looks great! I could really use a pair a those with all the snow outside my door! I like the way you styled them the best! Love how you all styled these fabulous boots! All three of you look cute!